“Although the ARM-based version of Windows does not include the same manageability features that are in 32-bit and 64-bit versions, businesses can use these power-saving devices in unmanaged environments,” Microsoft said in a document released ahead of its Windows 8 event in Barcelona. A lack of manageability isn’t the only reason many big businesses probably won’t want to go Windows on ARM. It also won’t work with any traditional desktop apps other than Office. "Initiatives like the Raspberry Pi scheme will give children the opportunity to learn the fundamentals of programming," he said. "This is a great example of the cutting edge of education technology happening right here in the UK." Initially the £22 ($35) model of the Pi will be offered for sale. A cheaper £16 ($25) version will go on sale later in the year. The machine, which runs on open-source operating system Linux, can be hooked up to a typical computer monitor - with additional ports used to attach a keyboard, mouse and other peripherals. It also features an ethernet port, meaning the device can make use of high-speed internet connectivity. Affinity is emerging from multiple years of R&D and brings a lot to the table for developers. It allows for a more expressive and easy way to deal with complex, heterogeneous data and will offer features that enable the development of unique applications. Development of Affinity started at Pi Corporation. The Affinity engine has been developed by Dr. Mark Venguerov with a small team. Affinity has reached a high level of maturity and we feel it is ready for release to the open source community. Reliable sources familiar with Apple’s upcoming product release have said that the company is in fact launching a new Apple TV alongside the next-generation iPad. We initially reported that Apple would be releasing two major new products in early March, and then believed the product would be a new Apple TV due to mounting code-based evidence for such a product with simultaneous supply constraints. Now, sources have outright said Apple is launching this J33 (the new Apple TV’s codename) alongside the new iPad. Schmidt isn't satisfied with information leaking out through back channels, though. "Forty countries engage in active censorship, up from four a decade ago. Google products are blocked in 25 of 125 countries in which we operate." Even in the United States there are "worrying" moves, he said, no doubt referring to the recently vanquished SOPA and PIPA legislation. "They're going to fail," he said of censorship efforts, but added, "We need to act now to avoid the rise of this digital caste system." Mr. Schmidt said 850,000 Android phones are activated every day, and 300 million Android devices have been activated. That figure doubled in the last six months, and “eventually it’ll be a trillion and we’ll run out of people,” he said. The company’s scale, he said, could be instrumental in changing how the world works and how technological innovation happens. The trick then for how to dislodge incorrect information is to build up the storage strength of the correct answer—in other words, to repeat it lots of times. Of course, this assumes the person holding the factually incorrect belief is open to changing it. If someone is not interested in questioning the “fact” that the Apollo moon landing was faked, then he is going to keep believing that. Still, the idea that the most firmly embraced factual errors are the ones most open to correction is encouraging. People who believe things that are clearly wrong aren’t beyond correction—in fact, the more adamantly wrong they are, the better. What I didn’t realize, but what Wade Roush has illustrated for me, is that not only did Steve Jobs probably crack the problem of TV, but that he already developed and sold the device that may be the key to our problems. Like Poe’s purloined letter hiding in plain sight, the solution to our current TV UI/UX morass may be right under our noses, and may be the most exciting reason to get behind a product I’ve personally been dragging my feet on adopting: the iPad. You might not think Facebook would be making waves at Mobile World Congress, but you’d be wrong. Today the social network announced its new mobile billing service – signaling it very much intends to compete with mobile app stores, namely iOS and Android marketplaces. First, the details of the announcement: Facebook is partnering with AT&T, Deutsche Telekom, Orange, Telefonica, T-Mobile USA, Verizon, Vodafone, KDDI, and Softbank Mobile Corp. to begin its own system, which will allow users to make charges via the Facebook platform as long as their phones are covered by one of the above mentioned networks. Yahoo! Inc. asked Facebook Inc. to license technologies covered by its intellectual property and threatened to take legal action if the companies don’t reach an agreement. “We must insist that Facebook either enter into a licensing agreement or we will be compelled to move forward unilaterally to protect our rights,” Sunnyvale, California-based Yahoo said in an e-mailed statement. It turns out Google+ is a virtual ghost town compared with the site of rival Facebook Inc., which is preparing for a massive initial public offering. New data from research firm comScore Inc. shows that Google+ users are signing up—but then not doing much there. Visitors using personal computers spent an average of about three minutes a month on Google+ between last September and January, versus six to seven hours on Facebook each month over the same period, according to comScore, which didn't have data on mobile usage. The Android platform is now seeing more than 850,000 device activations per day, up from the 700,000 figured shared back in January, according to Andy Rubin, who oversees the OS at Google. The figures suggest that Android may be gaining some momentum again, after Apple saw a blowout $46.3 billion quarter during Christmas in the wake of the iPhone 4S launch. Given that Android was 250 million cumulative device activations during the company’s last quarterly earnings call, this rate suggests that the platform is nearing 300 million device activations to date. Update: Actually, there are more than 300 million device activations to date, according to a Google blog post. Instead of fading away as millions of people switch from channel surfing to Web browsing, watching TV is as popular as ever. Americans spend about 4 1/2 hours a day in front of the tube, according to Nielsen Co. The difference is that we tend to be logged onto the Internet at the same time, often holding a second screen - a device like a smartphone or tablet computer - as we peer at the big set on the wall. We connect to social networks like Twitter and Facebook to chat with friends and family members about our favorite shows, or even the most amusing commercials. When Steve Jobs introduced the iPad, a key component of Apple’s message was that it represented the first incarnation of a whole new class of computer: the “post-PC” device. That was two years ago and I’m still not sure that the world is eager to leave the PC behind. If it were, wouldn’t we see a whole range of successful post-PC devices instead of just one? The iPhone begat boatloads of successful multitouch smartphones. You see Android phones in people’s hands wherever you. But the iPad still stands alone. It’s possible that people still like a little bit of a blur between these post-PC devices and the conventional computers that they still rely on. OnLive is valuable because it lets you roam with a tablet while leaving at least a toe on conventional, steady ground. Users of online social network sites such as Facebook are editing their pages and tightening their privacy settings to protect their reputations in the age of digital sharing, according to a new survey. About two-thirds, or 63 percent, of social networking site (SNS) users questioned in the Pew Research Center poll said they had deleted people from their "friends" lists, up from 56 percent in 2009. Another 44 percent said they had deleted comments that others have made on their profiles, up from 36 percent two years before. This year a series of events around the world will celebrate the work of Alan Turing, the father of the modern computer, as the 100th anniversary of his birthday approaches on June 23. In a book chapter that will be published later this year, mathematician Robert Soare, the founding chairman of the University of Chicago’s computer science department, will propose that Turing’s achievement was artistic as well as scientific. Turing is remembered for developing concepts that made modern computers possible, and for leading complex military decoding efforts that proved critical in World War II. But Soare argues that Turing's landmark 1936 paper on computability theory contains beauty as well as scientific breakthroughs. He compares the concepts in that paper to Michelangelo’s statue, David. “Michelangelo and Turing both completely transcended conventional approaches. They created something completely new from their own visions, something which went far beyond the achievements of their contemporaries,” Soare writes. Here is the rub: Apple is so big, it’s running up against the law of large numbers. Also known as the golden theorem, with a proof attributed to the 17th-century Swiss mathematician Jacob Bernoulli, the law states that a variable will revert to a mean over a large sample of results. In the case of the largest companies, it suggests that high earnings growth and a rapid rise in share price will slow as those companies grow ever larger. If Apple’s share price grew even 20 percent a year for the next decade, which is far below its current blistering pace, its $500 billion market capitalization would be more than $3 trillion by 2022. That is bigger than the 2011 gross domestic product of France or Brazil. That said, there really isn’t much of a market yet. Sales of 2.7 million Windows Phones is a paucity compared to the 37 million iPhones Apple sold during the fourth quarter. But it’s a start, and evidence that Nokia’s expanded portfolio of Windows Phone 7 handsets, and the marketing push behind them, is working. Google is promising execs that its music store will do better once its line of home electronics devices ships later this year, reports CNET. Google has never shown any talent at creating and marketing finished consumer products. The lackluster reception of Google Music is just the latest example. It's also more proof that Google is in desperate need of more focus, and more discipline. It makes one wonder whether Oracle wouldn't be better off withdrawing its patent infringement claims and proceeding only on the copyright claims. The court would likely insist that Oracle withdraw the patent claims with prejudice, meaning Oracle could not reassert the seven patents originally asserted in this case, but that would not preclude Oracle from bringing another patent infringement suit in the future against Google ... provided it can find any of the Sun patents that are valid. “The White House announcement is a huge victory for Google on privacy,” said Jeff Chester, executive director of the Center for Digital Democracy. The “victory” didn’t happen by accident. Google has become a major force in Washington. Once disdainful of the lobbying tactics of other companies, Google’s Beltway operations have become nearly indistinguishable from the most powerful corporations that line K Street. Last year, it doubled the amount it spent on lobbying to $10 million and doubled the size of its employee political donation fund to $836,000. In response to a shareholder question "Facebook, friend or foe?" Cook said the social network is a friend, according to CNBC's liveblog of the event. "We do a lot with them, our users use Facebook an enormous amount… I've always thought that the two companies could do more together." Rumor has it that Facebook was supposed to enjoy the deep integration that Twitter won with the release of iOS 5 last year, but something went awry. As ZDNet pointed out last month, however, new versions of the software show Facebook fields in native apps like Address Book, so it's not out of the question that a Facebook Share button to match Twitter's Tweet button in Apple apps could be right around the corner. The underlying message meant to be conveyed through the videos was “we’re fun-loving nerds and proud of it.” Microsoft wanted to offer proof that it had a kinder, gentler side to counter the public’s impresion of it as the unstoppable dark empire of software. It was the sort of thing that a company would try in an effort to erase years of antitrust hearings, iron-fisted business dealings, and awkward performances from Gates and Ballmer. This month, the Dutch carrier KLM began testing a program it calls Meet and Seat, allowing ticket-holders to upload details from their Facebook or LinkedIn profiles and use the data to choose seatmates. The concept is a step beyond the not always successful efforts a few years ago by some airlines — including Air France, Virgin Atlantic and Lufthansa — to build “walled” social networks out of their existing frequent flier memberships. Trend alert: In Silicon Valley, popular bloggers are realizing that instead of trying to make a living by selling ads, they can instead hit up venture capitalists for money. As I described last week in a post on my personal blog, these savvy bloggers will use the money to create “angel funds,” which they in turn will use to make investments in small startup companies—which bloggers often hear about before the rest of the world. Those investments, if bloggers are smart and/or lucky, could end up being worth millions. We want to give everyone the chance to be productive no matter where they are, so today we’re releasing a new update to the Google Docs app for Android. We've brought the collaborative experience from Google Docs on the desktop to your Android device. You'll see updates in real time as others type on their computers, tablets and phones, and you can just tap the document to join in. We also updated the interface to make it easier to work with your documents on the go. For example, you can pinch to zoom and focus on a specific paragraph or see the whole document at a glance. We also added rich text formatting so you can do things like create a quick bullet list, add color to your documents, or just bold something important. In the digital age, of course, analog letter-writing -- as art or craft or conversation or whatever else -- has become quaint, which is to say nostalgia-driven and ridiculously inefficient. Why would I write a letter when I can send an email? But more importantly, at the moment: Why would I write an email when I can send a tweet, or a Facebook message, or (to be fair) a Google+ note? Though we're nowhere near the end of email, what we are approaching is the possibility that email as we know it today -- solid, stolid, removed from our other online interactions -- will be increasingly integrated into the social platforms we use to learn and share information. The ACID benefits of a transactional database make it very hard to scale out a data set beyond the confines of a single server. Database clustering and multi-master replication are scary dark arts, and key-value data stores provide a much simpler approach to scale a single storage pool out across commodity boxes. Fortunately, this is a problem that Evernote doesn’t currently need to solve. Even though we have nearly a billion Notes and almost 2 billion Resource files within our servers, these aren’t actually a single big data set. They’re cleanly partitioned into 20 million data separate data sets, one per user. This extreme locality means that we don’t have one “big data” storage problem, but rather we have a lot of “medium data” storage problems that partition neatly into a sharded architecture. In case you missed the craziness this week, Microsoft appears to be making some Office apps for the iPad. Or maybe it’s not. Or whatever. MG Siegler has a good wrapup of the nonsense here. Office for the iPad makes total sense, though. And I wouldn’t be surprised if Apple did give Microsoft some stage time to unveil it at the new-iPad event in a few weeks. Why should Microsoft do this? The iPad is clearly a huge hit. Microsoft feels it. And Microsoft, still arguably the world’s most important software company, would be foolish to ignore this opportunity. There are skeptics who challenge these figures. Twopcharts has noticed fluctuations with the Twitter accounts it has been checking while keeping track of the countdown to 500 million. In a blog post, the company states that out of 100,000 accounts it has looked at, many have been suspended or closed. Others are inactive, still showing the default egg profile picture. It's disheartening to some that 53% of the sample the company is analyzing is inactive. “Facebook is a blue-chip stock and it’s not even public yet,” said Kevin Landis, portfolio manager for the Firsthand Technology Value Fund in San Jose, California. Facebook jumped as high as $44 this month in private trading, valuing the company at $103 billion and leaving it higher than when Landis bought stock at about $30 to $31 in October. He said he aims to add to his holdings. While demand for the biggest Internet IPO on record may push the stock even higher when Facebook goes public, private trades through channels such as SecondMarket Inc. and SharesPost Inc. are already making it possible for employees and venture capitalists to cash out. That may have lessened pressure on Chief Executive Officer Mark Zuckerberg to hold an IPO before this year. According to data from eMarketer, Facebook’s U.S. display-ad revenue should reach $2.58 billion this year, besting Google’s expected $2.54 billion in revenue. But for next year, Google is on track to hit $3.68 billion in U.S. display-ad revenue, compared with Facebook’s expected $3.29 billion. Google’s display-ad growth is coming primarily from mobile phone use and the YouTube video service, and benefits from the company’s existing relationships with online search advertisers, according to eMarketer. OnLive (free) and OnLive Plus ($5 a month) are both brilliantly executed steps forward into the long-promised world of “thin client” computing, in which we can use cheap, low-powered computers to run programs that live online. But the company’s next plans are even more exciting. For example, the company intends to develop a third service, called OnLive Pro ($10 a month), that will let you run any Windows programs you want. Photoshop, Firefox, Autodesk, games — whatever. The company still isn’t sure how that will work; somehow, you’ll have to prove that you actually own the software you’re running on its servers. But what a day that will be, when you can run any Windows program on earth on your iPad. Several people who have seen the glasses, but who are not allowed to speak publicly about them, said that the location information was a major feature of the glasses. Through the built-in camera on the glasses, Google will be able to stream images to its rack computers and return augmented reality information to the person wearing them. For instance, a person looking at a landmark could see detailed historical information and comments about it left by friends. If facial recognition software becomes accurate enough, the glasses could remind a wearer of when and how he met the vaguely familiar person standing in front of him at a party. They might also be used for virtual reality games that use the real world as the playground. The e-book, by eliminating all variations in the appearance and weight of the material object we hold in our hand and by discouraging anything but our focus on where we are in the sequence of words (the page once read disappears, the page to come has yet to appear) would seem to bring us closer than the paper book to the essence of the literary experience. Certainly it offers a more austere, direct engagement with the words appearing before us and disappearing behind us than the traditional paper book offers, giving no fetishistic gratification as we cover our walls with famous names. It is as if one had been freed from everything extraneous and distracting surrounding the text to focus on the pleasure of the words themselves. In this sense the passage from paper to e-book is not unlike the moment when we passed from illustrated children’s books to the adult version of the page that is only text. This is a medium for grown-ups. In the United States, the chances of seeing someone using a Windows Phone 7 handset seem about as good as spotting a leprechaun riding a unicorn. Sales here of the new Windows smartphones have been so tiny that Microsoft has shied away from sharing numbers. But your odds are better in Europe. Mr. Cunningham said Nokia’s new Lumia Windows phone was selling exceptionally well in London, largely because of a promotion with Orange. Microsoft, Nokia and Orange were offering a free Xbox 360 to people who purchased a Lumia 800 with a two-year contract. People who constantly reach into a pocket to check a smartphone for bits of information will soon have another option: a pair of Google-made glasses that will be able to stream information to the wearer’s eyeballs in real time. According to several Google employees familiar with the project who asked not to be named, the glasses will go on sale to the public by the end of the year. These people said they are expected “to cost around the price of current smartphones,” or $250 to $600. Like many "self-quanters," Smarr wears a Fitbit to count his every step, a Zeo to track his sleep patterns, and a Polar WearLink that lets him regulate his maximum heart rate during exercise. He paid 23andMe to analyze his DNA for disease susceptibility. He regularly uses a service provided by Your Future Health to have blood and stool samples analyzed for biochemicals that most interest him. But a critical skill separates Smarr from the growing pack of digitized patients who show up at the doctor's office with megabytes of their own biofluctuations: he has an extraordinary ability to fish signal from noise in complex data sets. Apple released its 2012 Facilities Report today, revealing the company’s data center in North Carolina will be powered by America’s largest end user-owned solar array. It’s easy to peg Apple as a villain these days, given the situation with workers in China manufacturing its products under unsafe and even inhumane conditions. But Apple wants you to see its good side too — the side that recycles, constructs energy efficient buildings, and uses solar energy. SkyDrive, Microsoft's cloud storage product, will be getting a Metro-style app with Windows 8, the company announced today. Also coming for SkyDrive will be a desktop app for Internet Explorer and the ability to fetch remote files from the Web, the software giant revealed on its Building Window 8 blog. Microsoft intends for SkyDrive to "evolve with Windows 8 from a website today into a true device cloud for Windows customers," Mike Torres and Omar Shahine, group program managers for SkyDrive, wrote in the post. So what should you take away from all this brouhaha about cookies and P3P and IE and Safari? Simple: Keeping track of your privacy preferences online is complicated to the point of being nearly impossible. Every time a tool attempts to block something – like tracking cookies – companies come up with workarounds. And sometimes these privacy tools end up creating problems for honest Web developers, further complicating the situation. John Kinnucan was charged with two counts of securities fraud and two counts of conspiracy on Friday in a U.S. District Court in Portland, Oregon, Reuters reports. A civil case filed by the Securities Exchange Commission filed in the U.S. District Court of Manhattan carries the insider trading charge. Kinnucan, who was arrested on Thursday, is accused of leaking tips that he received from Apple suppliers such as SanDisk and Flextronics to hedge funds managers. According to the report, a source close to the government probe claims that the analyst had received tips from former SanDisk executive Don Barnetson, who pleaded guilty to conspiring to divulge company secrets on Friday. But Ben Horowitz, a prominent venture capital investor here, says rap holds a trove of lessons for tech entrepreneurs. Throw business classes and books out the window, Mr. Horowitz says, and listen to rap lyrics instead. He applies his theory on his blog, where he has attracted a following of tech readers and other executives by offering business lessons, almost all of them preceded by a rap lyric that summarizes a moral, and with recordings from Grooveshark, the music site. The iOS platform overtook the OS X platform in under four years, and more iOS devices were sold in 2011 (156 million) than all the Macs ever sold (122 million). Apple’s philosophy is no mystery. They see computing as a collection of functions, not a range of hardware or a suite of apps. Those functions should articulate themselves differently depending on where the user is and how deeply they want to get involved. And although these functions should be re-optimized for specific experiences (the phone, the tablet, the desktop) the experience should be so consistent that it all feels of a piece. They laid all of this out quite explicitly last year with the release of Mac OS X 10.7. The whole theme of Lion was “Back to the Mac”: Apple took a cartload of ideas that seemed to have worked out well on iOS and figured out how to implement them on the Mac. On Thursday, Apple unveiled a preview of Mac OS X 10.8, due to be released sometime during the summer. “Mountain Lion” walks the Mac another mile down that same path. It brings more of the iOS experience to the Mac. Just as strongly, it emphasizes just how important Apple’s new iCloud service is to . . . well, pretty much everything they’re doing. Why? Well, it’s obvious, isn’t it? What better way to differentiate Windows 8 tablets from their rivals than by making them the only tablets that can run a touch-based version of Office? Looks like it’s time to resign ourselves to QuickOffice HD, OnLive Desktop and Apple’s iWork suite. Brightcove Inc., a Cambridge company known for its Internet video platform and online video tools, made an impressive debut on Wall Street yesterday as its stock rose 30 percent on the firm’s first day of trading, to close at $14.30, $3.30 above its offering price. The company had priced its initial public offering of 5 million shares at $11 per share. By midday they were trading on the Nasdaq Global Market at $14.48, up nearly 32 percent, before floating down to $14.30 by closing time. I expect Apple will deliver an ~8” iPad minus 3G/4G, cameras, and Bluetooth, and price it at $249, with further price discounts available for schools; that’s just speculation on my part, e.g., not based on reading of tea leaves from the Apple supply chain etc. But the most important motivation would be to give the company a way to stomp the competition. "Rather than just maintaining their dominance of the tablet market share, a smaller iPad would let them make a move to crush the opposition," said Alexander. Her reasoning was based on tablet numbers from the fourth quarter of 2011. During those three months, Apple's share of all tablet unit sales dropped to 57% from the prior quarter's 64% as lower-priced rivals, particularly the Kindle Fire and Barnes and Noble's Nook tablets, sold in volume. If Google hardware takes off—in the form of phones, tablets, TVs, and maybe even visors with Terminator-like information overlays—it would more tightly tie consumers to the company’s products such as search and YouTube. The goal wouldn’t necessarily be to make money on the hardware but to create more ways for Google to serve up the ads that brought in 96 percent of the company’s $37.9 billion sales in 2011. “Google will remain an advertising company, and they’ll use hardware to grow that business,” predicts Aaron Kessler, an analyst with Raymond James Financial. 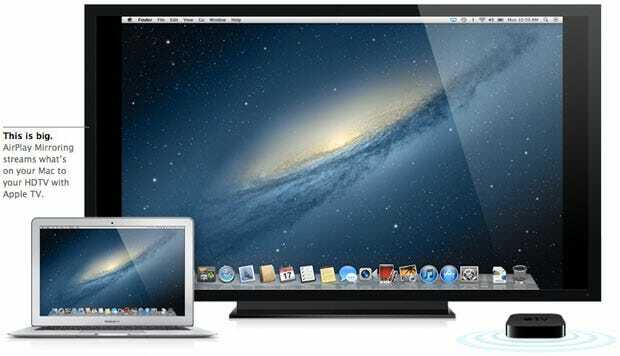 One of the coolest features in Apple's new desktop operating system, Mountain Lion, is AirPlay. AirPlay already exists for the iPad and iPhone, but this version appears to be extend what AirPlay can do. This new version is going to make life much better for users, and much less comfortable for big media companies. Another thing to consider is what some researchers call “security through obscurity.” Apple computers and machines running Linux have always been safer than Windows PCs, simply because there were fewer of them, so hackers didn’t bother targeting them. By this logic you might want to consider a device running the new Windows Phone operating system, which has only a few points of market share. The software itself is really nice. And Nokia, which is Microsoft’s top partner, has recently introduced some really nice handsets. It’d be nice if the Journal wasn’t so caught up in its own “privacy scoop” that it paused to wonder if perhaps Apple has an agenda here as well. I’m not arguing Google doesn’t have an agenda – it clearly does. I’m as saddened as the next guy about how Google has broken search in its relentless pursuit of beating Facebook, among others. In this case, what Google and others have done sure sounds wrong – if you’ve going to resort to tricking a browser into offering up information designated by default as private, you need to somehow message the user and explain what’s going on. Then again, in the open web, you don’t have to – most browsers let you set cookies by default. In iOS within Safari, perhaps such messaging is technically impossible, I don’t know. But these shenanigans are predictable, given the dynamic of the current food fight between Google, Apple, Facebook, and others. It’s one more example of the sad state of the Internet given the war between the Internet Big Five. And it’s only going to get worse, before, I hope, it gets better again. The Journal said that though the cookies placed by Google were set to expire in 12 to 24 hours, they "could sometimes result in extensive tracking of Safari users...because of a technical quirk in Safari that allows companies to easily add more cookies to a user's computer once the company has installed at least one cookie." Google told the Journal it hadn't anticipated the placing of additional cookies. It also provided the paper with the following statement: "The Journal mischaracterizes what happened and why. We used known Safari functionality to provide features that signed-in Google users had enabled. It's important to stress that these advertising cookies do not collect personal information." A few months ago, AllThingsD’s Liz Gannes questioned why it seemed as though all of her friends on Facebook were reading articles from the Washington Post online; turns out she, like many users, was seeing an aggregated list of activity from news apps through Facebook’s “open graph.” Today, Facebook announced that even more media apps were coming to Timeline through the social network’s open graph, including “The Daily Show,” MSNBC.com, Huffington Post, Mashable, MTV News and BuzzFeed. NYT Bits reports (citing The Loop) that the National Oceanic and Atmospheric Administration (NOAA) is throwing their BlackBerrys overboard, opting for Apple products instead. Though NOAA already put some 3,000 BlackBerry devices in circulation among its 20,000 workers, it will only be supporting the devices until May 12. NOAA CIO Joe Klimavicz cited the cost of Research in Motion’s software as the chief reason for the switch. With the next version of Apple’s OS X operating system for its Mac computers, the company has one clear message: If you’re going to buy one Apple product, you might as well keep buying more. When users first start up Mountain Lion, they are asked to enter their iCloud credentials. This way, content like notes, messages and event reminders can be easily shared between multiple Apple devices. For example, if a user jots something down in the Notes app on an iPhone or iPad, that same note will appear in the Notes app in Mountain Lion on a Mac. From a technological perspective, the 2012 campaign will look to many voters much the same as 2008 did. There will not be a major innovation that seems to herald a new era in electioneering, like 1996’s debut of candidate Web pages or their use in fundraising four years later; like online organizing for campaign events in 2004 or the subsequent emergence of social media as a mass-communication tool in 2008. This year’s looming innovations in campaign mechanics will be imperceptible to the electorate, and the engineers at Obama’s Chicago headquarters racing to complete Narwhal in time for the fall election season may be at work at one of the most important. If successful, Narwhal would fuse the multiple identities of the engaged citizen—the online activist, the offline voter, the donor, the volunteer—into a single, unified political profile. Gartner analyst Michael Gartenberg said that Apple and Microsoft are taking very different approaches. Gartenberg said that Microsoft has struggled with a similar approach in the past, noting that Windows Mobile initially aimed to replicate the Windows desktop down to the start menu — an approach that was not popular with consumers. Apple, Gartenberg said, is trying to replicate some of the experiences popular on the iPhone and iPad, but is doing so in a more context-aware manner that reflects the different way computers are used as compared with phones and tablets. Notes. Apple looks to make mincement out of Microsoft OneNote for iPad connected to SkyDrive. According to Apple's marketing material: "Notes in OS X Mountain Lion is designed for whatever’s on your mind. Think it up. Jot it down. Make it even more noteworthy with photos, images, and attachments...Notes works with iCloud, so when you create or edit a note on your Mac, it automatically updates on your iPhone, iPad, and iPod touch". That sound lots like OneNote to me, minus the one. WebOS could be an important player in the long run as an open-source mobile operating system because Android could become closed with Google's purchase of Motorola Mobility, Hewlett-Packard CEO Meg Whitman said Wednesday. It may take up to four years for the complete impact of webOS to be felt, but HP will remain patient, Whitman said during a speech at the HP Global Partner conference in Las Vegas. Ever feel like you have to jump from site to site in order to piece together what’s happening in the world? Good news for those who like to stay up-to-date on the latest trends — msnNOW, a new service from MSN at now.msn.com, will help you stay in the know. msnNOW is the first service to surface the latest buzz from Facebook, Twitter, Bing and BreakingNews.com, all in one place. It cuts through the clutter of the Web, providing an up-to-the-minute view of breaking trends and the hottest social conversations, what people are saying about them, and why they matter. More than a quarter of Americans under the age of 301get their information from various social media sites. With the influx of content today across the Web it can be challenging to ensure you’re seeing the relevant and credible content that matters most to you. msnNOW is the trusted source that will help make sense of the noise, anytime and from anywhere you’re online. MSN Launches msnNOW to Keep You in the Know: Keep up on breaking trends and the hottest buzz from across Facebook, Twitter, Bing and BreakingNews.com — all in one place. Every year, there’s another hot new online service, another drain into which to pour your time. Question: Once you’re on Facebook and Twitter and Foursquare and Google Plus and Tumblr and LinkedIn and Instagram and Reddit and Path — when, exactly, do you have time left over for a life? Well, never mind. Incredibly, yet another free site has become white-hot popular, because it’s found yet another purpose not quite served by anyone else. It’s Pinterest.com, which recently laid claim to being the fastest Web site in history to break the 10-million-visitors-a-month threshold. It’s suddenly cropping up in conversation, online and off, with surprising frequency. “Imagine how difficult it would be if you were limited to calling people who only use the same carrier or if your phone could only call certain brands and not others,” De Beer wrote. “Cisco wants to avoid this future for video communications,” and so has filed the appeal. Messagenet, a European IP calling service, joined Cisco in filing the appeal. Both had commented to the European Commmission during initial hearings on the deal before it was approved. Cisco doesn’t want the merger rescinded, but rather wants the EC to impose some interoperability conditions on Microsoft. Part of Microsoft’s plan with Skype has been to combine it with its Lync video and voice calling software for businesses. Both Lync and Skype use their own proprietary calling technologies, and so aren’t compatible with other video and calling services. After testing the Galaxy Note, I have decidedly mixed feelings about it. It isn’t a very practical phone and, as a tablet, it can’t match the experience of the iPad, which is more spacious and has over 150,000 apps designed for it. However, I can see where some folks might consider the 5-inch screen a good trade-off for much better portability than other tablets, and Samsung has done some very interesting work in making the stylus, which is stored in a slot on the device, useful. As more teachers and students adopt new technologies, including Evernote, they’re looking for useful resources to help them along the way. We’re excited to introduce them to Evernote for Schools, our new microsite devoted to helping those in the education community use Evernote more effectively. Teachers and administrators who are looking to start their students on a path of lifelong learning can find a collection of resources at Evernote for Schools including education-related case studies, videos, and a discussion forum for connecting and sharing tips and ideas for using Evernote in a school setting. Students can use Evernote to organize all their content (notes, projects, worksheets, lists and more) on all the computers, phones and tablets they use, at school and at home. Evernote allows students to build on their learning year after year by carrying their work with them from school to school, without the heavy load of backpacks and binders. Timothy D. Cook, Apple’s new chief, showed on Tuesday how he planned to do things differently from his predecessor. Mr. Cook, who long handled the investor relations chores Mr. Jobs avoided, spoke at a Goldman Sachs conference on a wide range of topics, all the while displaying a bit more personality than he has in public presentations in the past. His appearance amounted to his most extensive public comments since he became chief of Apple in August, just weeks before the death of Mr. Jobs. Two years after Sun Microsystems Inc.’s sale to Oracle Corp. ended his run as one of Silicon Valley’s most prominent chief executive officers, Jonathan Schwartz is resurfacing on a smaller stage. Schwartz announced today the debut of CareZone, a startup website that lets family members and health-care workers share information about aging or ill parents, spouses and children. CareZone has seven employees, is funded with less than $2 million of Schwartz’s own money, and came about as a reaction to his need to care for older parents -- and a desire to try a different business than Sun’s, Schwartz said in an interview. Try to contain your excitement, if you can. But various outlets are reporting that Apple will be launching its next iteration of the iPad on March 7. iMore’s Rene Ritchie fixed the date yesterday, citing “sources who have been reliable in the past”; the Loop’s Jim Dalrymple, who’s viewed as being credible for his 17 years of covering Apple products, then confirmed this with a simple “Yep” on his blog. We’ll still have to qualify this as a rumor, though. Smart phones are a growing source of driver distraction, but researchers hope to use their capabilities to make the devices' use less dangerous. New sensing technology can determine whether a phone is being used by the driver, or merely a passenger, and is providing a building block for a new generation of distraction-thwarting apps. Research shows that just talking on a phone increases the risk of a crash four times; texting increases it 23 times. Officials at some of Apple's suppliers, who declined to be named, said the Cupertino, Calif.-based company has shown them screen designs for a new device with a screen size of around 8-inches, and said it is qualifying suppliers for it. Apple's latest tablet, the iPad 2, comes with a 9.7-inch screen. It was launched last year. One person said the smaller device will have a similar resolution screen as the iPad 2. The deal, worth $12.5 billion, still needs a few more regional approvals but has cleared the biggest hurdles. It would bring Google 19,000 new employees, the lower margins of a manufacturing enterprise and the challenge of extending its very successful cellphone software business. By now it’s a truism that Apple’s killing it in the United States consumer electronics industry, but here’s one more piece of data to drive that point home: NPD says Apple captured 19 percent of all sales dollars of consumer electronics in the U.S. in the holiday quarter of 2011. That’s nearly twice the percentage captured by Hewlett-Packard, which ranked second on NPD’s list of the top five CE brands. The real object of attraction for some users will be the phone’s giant screen. At 5.3 inches diagonally, the screen is one of the largest on the market. (By comparison, the iPhone’s is a 3.5-inch screen.) The device’s 800 x 1280 pixel resolution makes it seem even roomier than the diagonal measurement might suggest. There are three classes of users who will be attracted to the big screen. The first is people who want a tablet, but one that fits in a pocket or purse and doesn’t require a second purchase. The Galaxy Note falls into a form factor called a “phablet” — both phone and tablet. The second class is serious phone enthusiasts who download a lot of apps, games and eBooks and want the biggest screen possible. And the third is older people who struggle with normal-sized phones and their tiny screens and type sizes. Steven Sinofsky, the head of Microsoft’s Windows business, on Thursday expended more than 8,000 words in a blog post about what he called WOA, a version of the forthcoming Windows 8 operating system that will work on new hardware using cellphone-style chips licensed by ARM Holdings. So Facebook, which has half of its users accessing it from mobile devices, has dabbled in phones and is said to be moving even more firmly in that direction. Apple, once just a computer maker, already gets most of its profit from mobile devices and is eyeing televisions, which would play content from iTunes. When you hold one in your hand, it’s clear that the smartphone wars are far from over. It is too easy to dismiss Windows Phone 7 as being too little, too late. (That was our first reaction too). No, it’s clear that Windows Phone has more than a fighting chance. Microsoft will make sure that the economics are much more attractive to the carriers than the iPhone’s so that they push Windows Phone. If consumers bite, Windows Phone could emerge as a very strong smartphone platform. This is a well-made, elegantly designed, and capable phone. But let’s return to The Question: Is this the Killer Phone? Will the Lumia 800 and its siblings put Nokia and Microsoft back in contention? My answer is, regretfully, No. The Lumia contains neither the revolutionary new features nor the fresh approach that any serious smartphone needs to compete with the two new giants, Samsung and Apple. The Korean company is very, very determined; it takes no prisoners — ask Sony. And Apple is no longer Little David fighting the Microsoft Goliath: Last quarter, the iPhone alone generated more revenue and profit than all of Microsoft. Apple’s been having a great week in the stock market and is now hovering at $495 per share as of noon Friday. The rally on the market also gave the Cupertino, Calif.-based company some additional bragging rights: As of Thursday morning, Apple’s market cap was bigger than the values of Google and Microsoft combined. You read that right. Apple’s market cap is around $462 billion as of mid-Friday. Microsoft’s is about $257 billion and Google’s weighs in at about $197 billion. A study published last month in the journal Cyberpsychology, Behavior and Social Networking found that the more time people spent on Facebook, the happier they perceived their friends to be and the sadder they felt as a consequence. What might have once sounded like the behavior of a paranoid is now standard operating procedure for officials at American government agencies, research groups and companies that do business in China and Russia — like Google, the State Department and the Internet security giant McAfee. Digital espionage in these countries, security experts say, is a real and growing threat — whether in pursuit of confidential government information or corporate trade secrets. “If a company has significant intellectual property that the Chinese and Russians are interested in, and you go over there with mobile devices, your devices will get penetrated,” said Joel F. Brenner, formerly the top counterintelligence official in the office of the director of national intelligence. After months of silly silence in the face of hundreds of legitimate questions from customers, businesses, developers, and the tech press, Microsoft suddenly and unexpected unveiled (most of) its plans for ARM-based Windows 8 tablets. I've got the details (of course) in Microsoft Finally Explains Windows 8 on ARM: Desktop and Office 15 Applications Will Be Included, as well as an accompanying screenshot gallery. But the big takeaway here is simple. Windows on ARM, or "WOA," as Microsoft calls it, looks like more than a credible answer to the iPad. In fact, it looks like something that will relegate the iPad to the backwater of the tablet market, much as Windows did to the Mac. And they will ship with full, but touch-enabled, versions of the coming Office 15 apps, which should be a neat final nail in the coffin of those overpriced luxury items from Cupertino. Last year, the Kindle Fire proved that a low-priced device could quickly chip away at the iPad's dominance. This year, ARM-based Windows 8 tablets are going to accelerate the iPad's decline. And I'm not the only one who thinks so. This is a big deal, people. The only question is why Microsoft sat on this for so long. Windows on ARM looks awesome. My biggest question after reading today’s post is what does “include” mean here, in terms of these four Office apps being “included” with Windows 8? Will these four Office 15 apps will be bundled on Windows 8 ARM PCs and tablets? Will they be free? Will these simply be new versions of the existing Office Web Apps — the Webified versions of Word, Excel, PowerPoint and OneNote that Microsoft already offers for free? Google has never successfully sold anything to consumers. Not a single thing. Google is really good at building fast, useful, responsive software that runs at Internet scale, and at hooking up the users of that software with advertisers to make gobs of money. Or building YouTube into the cable TV system for the Internet? Or even coming up with new forms of advertising for other kinds of media? But adding a business in which it has demonstrated none of the characteristics necessary to succeed just seems utterly mad. Google's first hired employee, Craig Silverstein, is leaving the tech giant where he's worked since its founding to sign on with the rising education start-up Khan Academy. "Craig's been with Google since the early days. He was instrumental in the development of search and made numerous contributions to Google over the years. We wish him all the best at the Khan Academy and know that he will do great things to help them promote education around the world." "We are thrilled to have Craig Silverstein join our team. His deep technical knowledge and organization-building experience will be extremely valuable to us as we grow as an organization. We are excited that talented individuals like Craig believe so passionately in our mission and are willing to join us in our quest of providing a world-class education to anyone, anywhere." 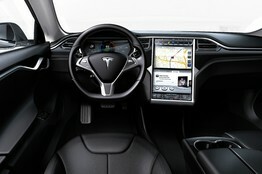 Undaunted by fear of safety regulations, auto makers are piling new technologies into their vehicles: everything from 17-inch dashboard screens to services that check Facebook and buy movie tickets. This newfound confidence comes as a push for national regulations governing driving and cellphone use—including the suggestion of a total ban—has petered out. Google is developing a home entertainment device, according to people with knowledge of the company’s plans, in a move that would bring it more broadly into consumer electronics. The device, which exists as a prototype and will eventually be sold as a branded item to consumers, is the company’s most significant venture into hardware. While the initial purpose of the device will be for streaming music, the eventual use could be much wider. Considering my experience with my Kindle 2 over the last couple years, and my initial Kindle Fire impressions (mostly from a distance; I don’t own one), I’d prefer a more svelte ~7: Kindle Fire than one super-sized to iPad dimensions, at this point (in part because I also expect to continue being an iPad user…). I’m also still tempted by the Samsung Note smartphone/tablet tweener… In any case, it’s not surprising that Amazon wishes to avoid pulling an Osborne, and likely won’t announce the next wave of Kindle Fire devices until they’re ready to ship. Tangentially, I won’t be surprised if the next wave of Kindle Fire devices is based on Samsung hardware, but that’s just a hunch. It’s been speculated upon before, but it’s interesting to hear that Amazon may have a 9-inch version of the Fire headed to market later this year, particularly now that we know Apple’s iPad 3 will debut next month. Makes you wonder how the retailer’s loss-leader strategy will translate to the larger-screen tablet market that Apple dominates. LinkedIn Corp.’s profit jumped 30 percent and its revenue more than doubled in its latest quarter, providing a lift to the young social-networking industry ahead of Facebook Inc.’s public offering later this year. Many histories of computing give the impression that it was a straightforward set of engineering decisions to use punch cards, then relays, then tubes, and finally transistors to build computing machines. But it wasn't. General-purpose machines required Turing's fundamental insight that data and code can be represented the same way. And keep in mind that all of today's computers were developed with the help of slower computers, which in turn were designed with slower computers still. If Turing had not made his discovery when he did, the computer revolution might have been delayed by decades. The contents of this site are my personal opinions and do not represent my employer's view in any way.